HAVING PEOPLE OVER?? 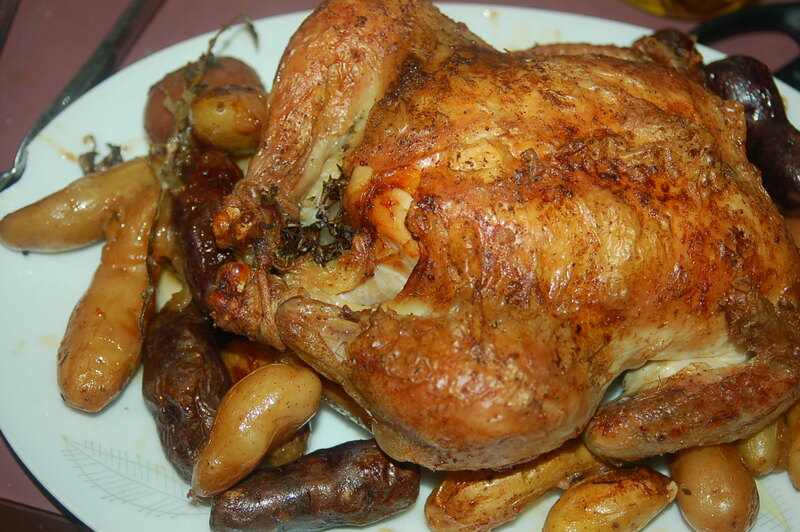 – The SIMPLEST Roast Chicken Dinner & EASIEST Dessert In The World (Serves 4, just double for 8!) | Crappy Kitchen - Good Dinners! Having people over but you don’t have much time, talent or energy?? This is the dinner to make, and it is fool-proof, (I know this from experience). The is nothing better than a crispy (but moist!) roast chicken with a little pasta or mashed potatoes (or mashed parsnip or carrot!) 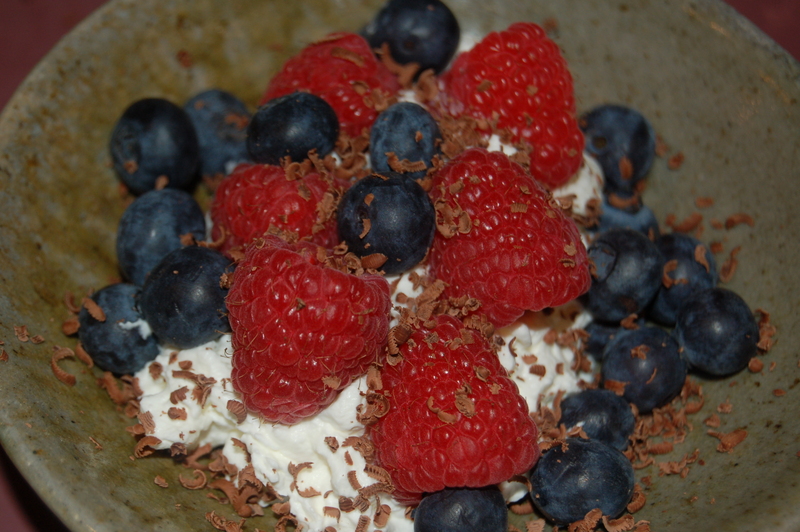 and simple berries and fresh cream for dessert. Crispy Roast Chicken in a Mushroom Broth – sumptuous! This sort of dinner party is the best kind as you will do little cooking and lots of socializing. It also makes the house smell heavenly (is there anything better than the smell of roast chicken!) and there is something so festive about a couple of crispy golden-skinned chickens on the center of a candlelit table! The weekend is coming and you should think about serving this to your friends with lots of good wine. I made the chicken special by adding mounds of different kinds of mushrooms. They did all the work in the flavor department and I was free to spend time setting a nice table and generally just hung out being social (instead of being tied to the kitchen). 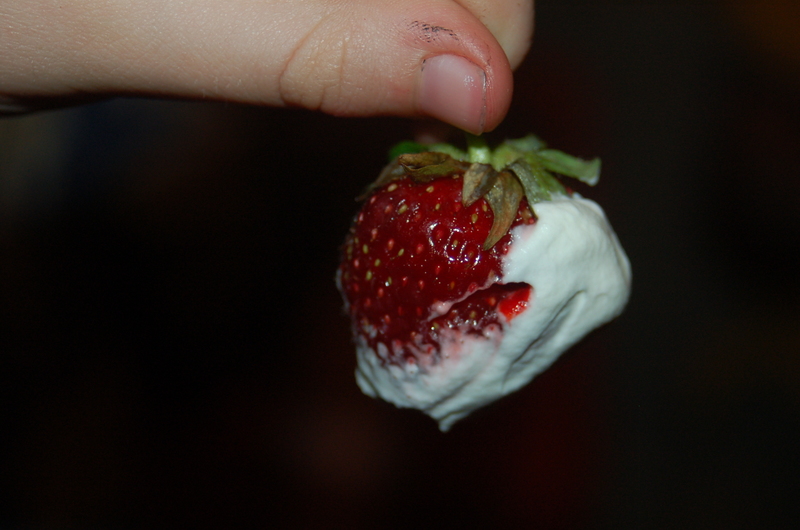 The only other thing was dessert, and choosing to serve fresh fruit and cream is not only a big cheat, it is a refreshing ending to a rich meal (recipe at the end, pretty self-explanatory). Hope you are inspired and tempted! 1 – Put all prepped veggies into bottom of pan, along with rosemary sprigs and 2 cups of broth. Place all veggie and seasoning into bottom of large pan or roasting pan. Add the broth. 2 – Season the chicken with salt, pepper and cayenne pepper (if using) and rub with 2 tbs olive oil. place on top of veggies and place in preheated oven for 1 hour 20 minutes to 1 1/2 hours. After 1 hour add the last cup of chicken broth (or water) to pan. When you cut between the leg and the body and the juices run clear, the chicken is cooked. Remove from oven and let it rest for 15 minutes before serving. This chicken can be carved and served with a big meaty pasta with the broth or with some mashed potatoes and a veggie like simply boiled peas or carrots. Choose whatever berries you like or that are available and good – about 1/2 cup per person. 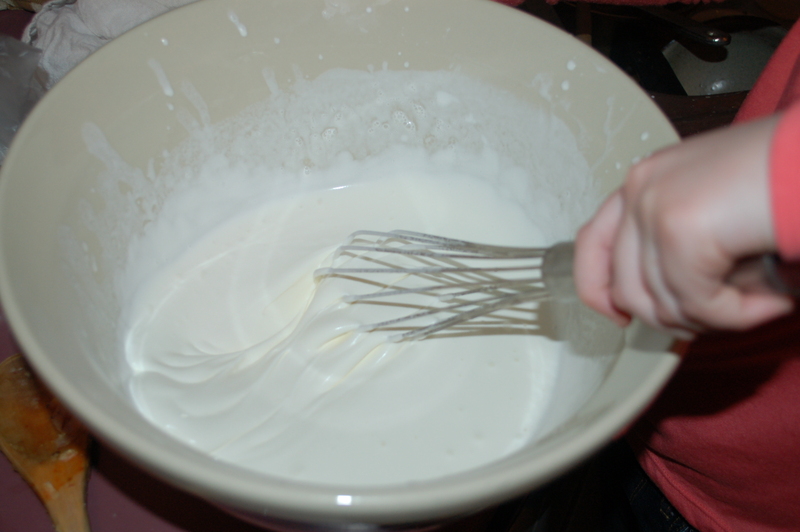 Put about 2 cups heavy whipping cream in a big bowl and add 1/2 to 1 tablespoon of confectioners sugar (helps the cream thicken faster) and beat with whatever mixer or whisk you have until it is thick and billowy. This entry was posted in "Blood Type A " Recipes, dinners and tagged berries and cream, Blood Type A diet, blood type A dinner, blood type A recipe, easy dessert, easy dinner, mushrooms, mushrooms and chicken, raspberries and cream, roast chicken, whole roast chicken. Bookmark the permalink. i think this will be our Saturday dinner! Looks lovely.